This here twin-turbo EEJournal.com podcastin’ hot rod is headed to the IoT finish line – one biometric at a time. 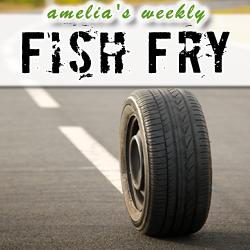 In this week’s Fish Fry, we investigate biometric data sensors and how one company is making sure that our fitness is actually what we think it is. My guest is Valencell President Steven LeBoeuf. Steven and I are going to chat about the future of the wearable market, precision biometrics, Valencell’s new state-of-the-art sports testing lab, and a little bit about professional cartooning. Get your wearable motor runnin’ folks! Click Here to take a free survey and enter for a chance to win a MAXSANTAFEEVSYS Kit courtesy of Maxim Integrated.